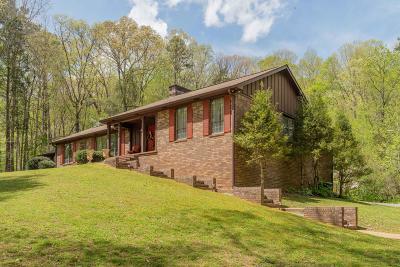 Four acres of privacy in a beautiful subdivision in the city of Trenton, GA. The view from the front of home is one of the best around of the large lake and Lookout Mtn in the background.. Large all brick home on one level. Three car garage and a large partially finished basement for all kinds of storage. Home has four bedrooms or three and an Office. Large great room with vaulted ceiling open to Dining Room. Open floor plan. Hardwood floors and ceramic tile. Carpet in bedrooms. Call for an appointment today. © 2019 Chattanooga Association of Realtors. All rights reserved. Information deemed to be reliable but not guaranteed. The data relating to real estate for sale on this website comes from the Chattanooga Association of Realtors and the Broker Reciprocity Program.sm. Real estate listings held by brokerage firms other than Bellora Realtors LLC are marked with the BR logo and detailed information about them includes the name of the listing brokers. Listing broker has attempted to offer accurate data, but buyers are advised to confirm all items. Information last updated on 2019-04-20.